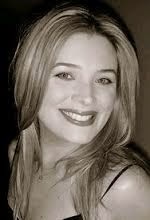 Michelle van Eimeren Van Eimeren represented Australia for the 1994 Miss Universe pageant, which was held in Manila. Miss Australia Michelle van Eimeren and Miss Belgium Christelle Roelandts, are among the favorites but did not place in the top 10. She placed 11th overall. Syempre Ikaw Lang (Ang Syota Kong Imported), (1996). She married Filipino actor/singer Ogie Alcasid in 1996 and had two children with him. The Australian beauty queen also wrote a children's book called, "Butterfly." She now lives in Australia with her two children, after her marriage to Alcasid was annulled in October 2007. In November 2009, she married her fiancé Mark Morrow in Bowral, Southern Highlands. Her former husband Ogie Alcasid and his girlfriend Regine Velasquez were among the guests.